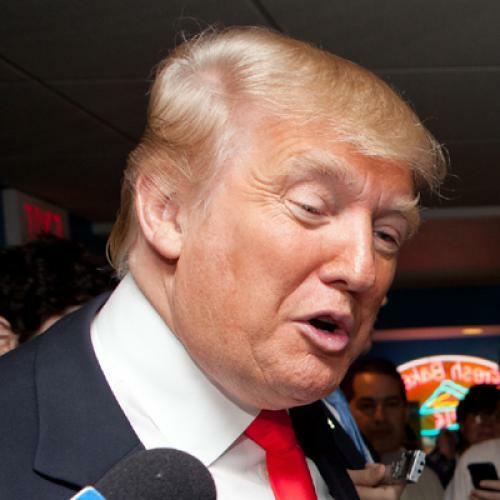 Who's behind The Donald's run for president? Over the past few weeks, many people have dismissed Donald Trump’s possible presidential campaign as a joke. But don’t tell that to the people volunteering behind the scenes—an eclectic crew of young enthusiasts, old Reagan hands, and one especially slimy and notorious political operative. I spent the past week making phone calls to people who are hosting Trump events in various states, as well as combing through other news sources, in order to try and answer the question: Who exactly is orchestrating Trump’s proto-campaign? Here is the picture I was able to assemble of the Trump political organization. The two groups behind the Trump movement are Should Trump Run? and Draft Trump 2012. Michael Cohen, Trump’s special counsel, along with another Trump friend, businessman Stewart Rahr, founded the first organization, which took the lead in promoting a potential Trump candidacy last fall. Cohen has met with a number of Iowa Republicans and arranged Trump’s speech at the Iowa GOP’s Lincoln Day Dinner this coming June. But, since then—at least partly because he may have already violated campaign finance laws—his role in the campaign has shrunk. Trump’s stops in Nevada, New Hampshire, and Florida have all been organized through others, including Trump’s longtime assistant Rhona Graff. Recently, Draft Trump 2012 has taken up the charge. The titular head of the group is Nick McLaughlin, a former Marine and Iraq veteran who has no previous connection to Trump, nor any political experience. Beyond McLaughlin, though, the people who’ve joined Draft Trump 2012 are all veteran Republican activists. National political director Lynn Krogh, who joined after this year’s CPAC (at which Trump spoke), is a former executive director of the Young Republicans and served as George Pataki’s deputy spokesperson. (Because of McLaughlin’s inexperience, Krogh handles much of the actual politicking.) The group’s new Illinois co-coordinators, Eric Johnson and Michael LaPidus, also have Young Republican ties: Johnson recently served as co-chairman of the Illinois Young Republicans, and LaPidus chaired this year’s Young Republicans meeting in Chicago. Reagan vets are the other core constituents of the volunteers. Trump’s southern regional director, Kenny Klinge, was the southern political director for Reagan; western states coordinator James Stockdale was the California state director; and Oregon co-coordinator (and rockabilly legend) Jerry Naylor was national director of special events in 1980.